Find as many words as you can in 120 seconds! 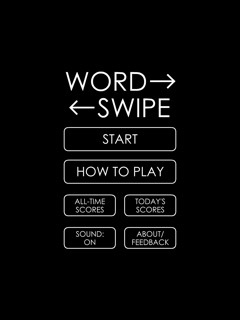 Word Swipe 2 is a quick-to-play, fun and challenging word game. 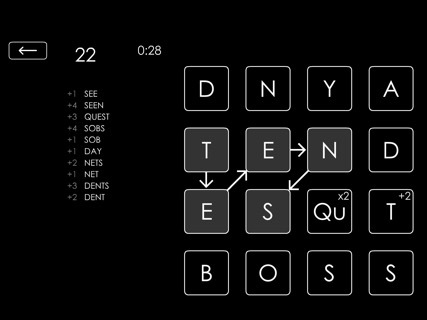 Find as many words as you can on the 4x4 board in 120 seconds. All of the letters in the words must be connected. Touch and swipe to select a word and then find the next. When the round is over, see which words you missed. Play again to improve your score and see how you are doing on the daily high score board.